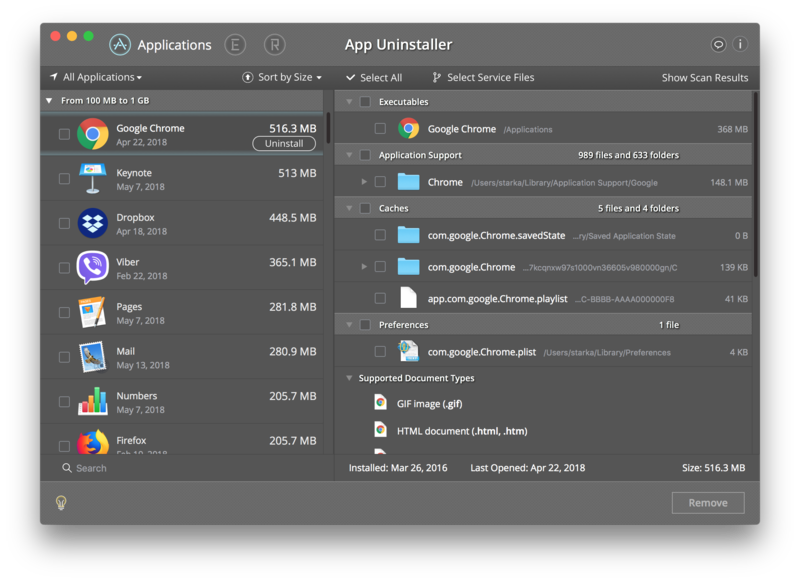 Use App Uninstaller to uninstall applications on a Mac completely. Remove trace files that are left after simply moving the apps to Trash. Disable and remove unneeded startup items, widgets, preference panes and other Mac extensions. 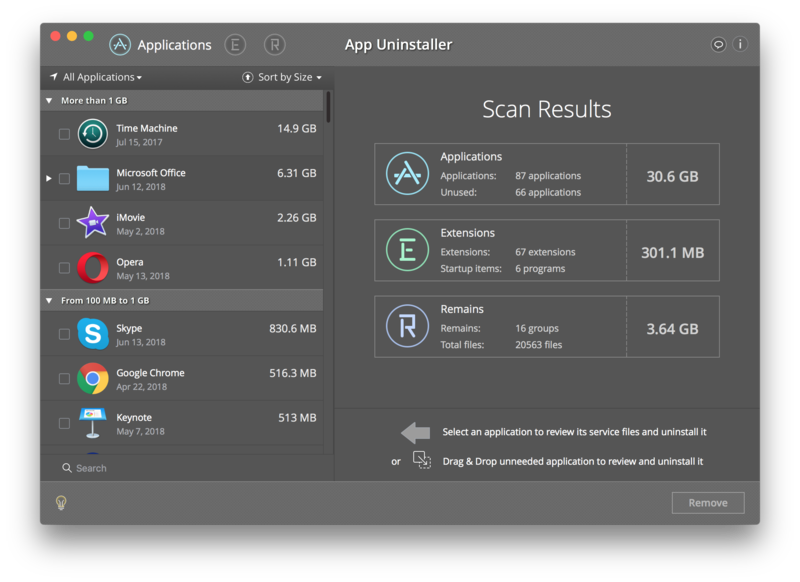 Launch App Uninstaller to scan apps. Select unneeded applications from the list. Note: if some executable files were not removed due to SIP rules, switch to Finder and move them manually to Trash. Remove trace files and leftovers of apps which have been removed before in the regular way. Free up your disk space from unnecessary service files. Remains are files that are left on the hard drive even though the applications that used them are no longer in the system (this occurs when apps are removed into Trash by dragging). What are service files and why are they needed? Service files are created during an app’s operating process; they save information about app preferences, logs, error reports and supporting data. 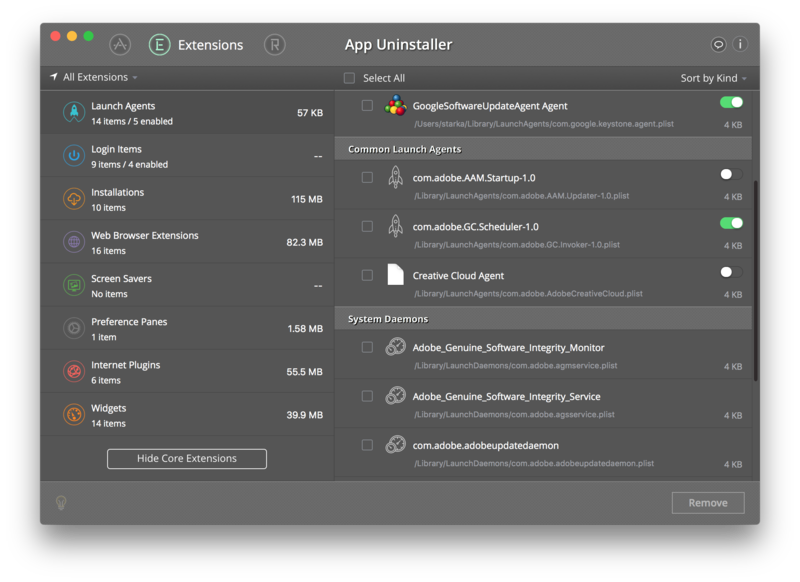 Why do I need a special app for uninstallation? Applications on OS X can be deleted simply by putting them into Trash. Nevertheless, some service and temporary files from the deleted apps may still remain. Little by little these files can take up a huge amount of hard drive space. Are there any usage restrictions on applications? 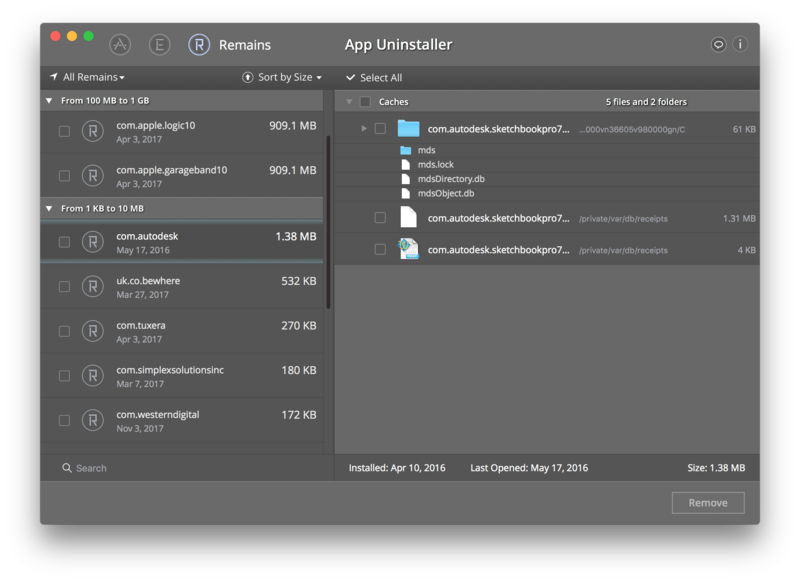 App Uninstaller does not allow you to delete apps from Apple. This is done to prevent any violations of system integrity or performance as many apps are required by the system and their removal is not desirable, e.g. Terminal app.